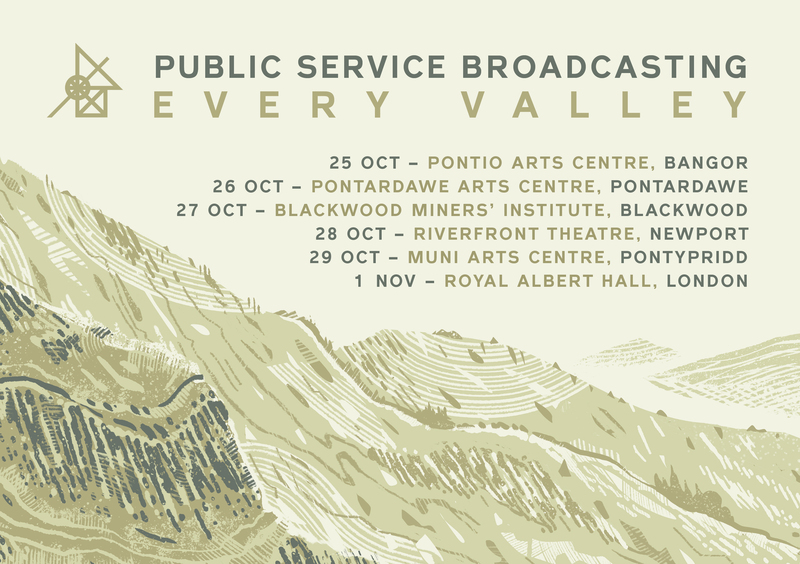 It had been a little while since I had worked with Public Service Broadcasting and I seemed to be receiving regular messages from fans asking if any new PSB screenprints were on the way. 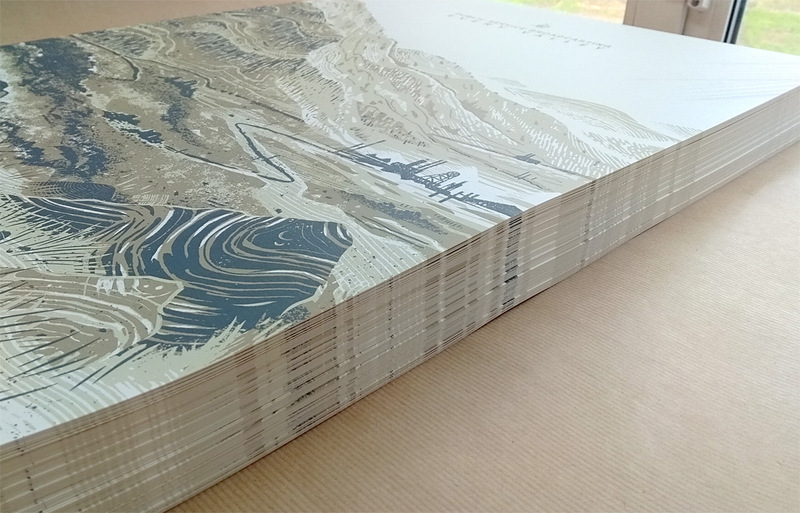 I was really pleased when they asked me to design and produce this limited edition print to celebrate their ‘Every Valley’ release, as well as the beautiful landscape of Wales which inspires so much of the record. The artwork came in handy as a nifty digital poster with the tour dates too. 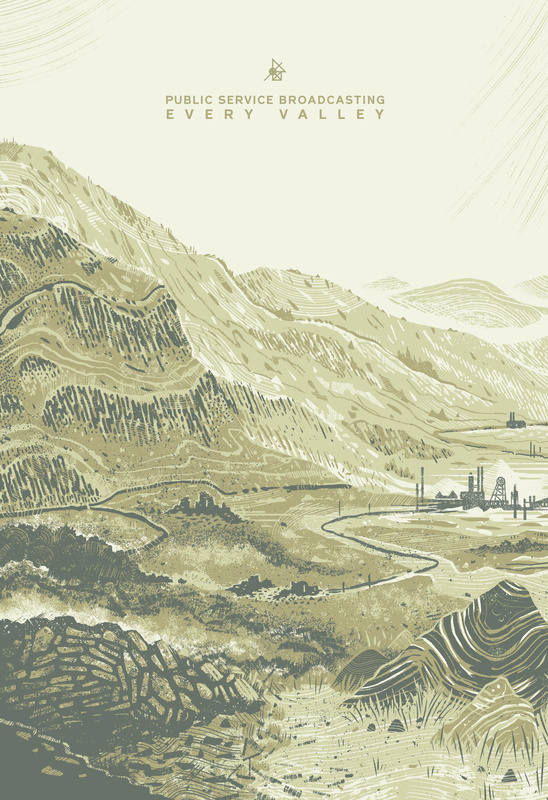 There is also an art print version (i.e. no band text) which will be available at some point in the future, perhaps as part of an exhibition. By a strange misfortune, I also ended up with a few damaged extras of this print which were turned into smaller prints which I have chucked up on my Shop and which can be yours, or really anyone’s, for a most affordable sum. Diolch!